▪ Press F11 again to deactivate Full Screen mode. ▪ The title bar will not be visible anymore in Full Screen mode, which saves space for the user interface. ▪ In addition, you can choose to show the menu bar or to hide the menu bar to save further space. 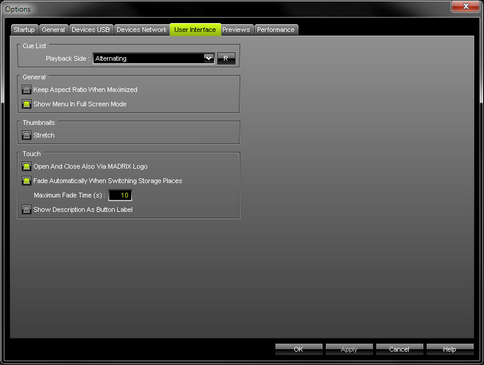 Change the setting as described below. By default, the menu bar is shown. 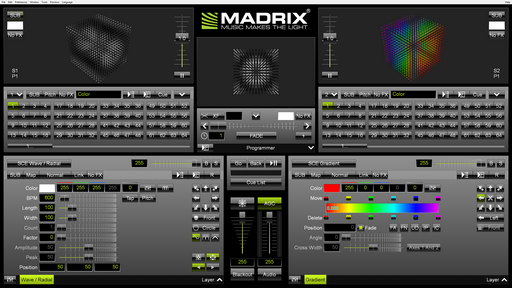 ▪ MADRIX will also automatically hide the taskbar in full screen mode.